In the not too distant past, it was easy to drive south down Interstate 15 through Arizona and into Nevada and hardly notice the town of Mesquite on the way to bigger and brighter cities beyond. Today, Mesquite is a flourishing oasis in the desert—a place where many love to visit, and others are proud to call home. What once was a farming community has become a destination for families and retirees who love to work, golf, relax and soak up the hot Nevada sun. 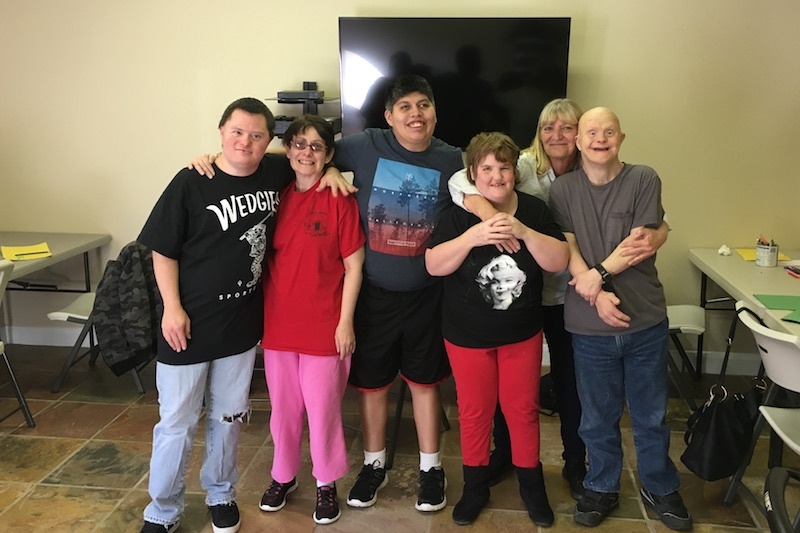 Just like the interesting city it is nestled within, our Mesquite Day Program has been experiencing its own wonderful trend of progress and growth. I was able to visit recently, and my visit to this program left me feeling reinvigorated and privileged to be able to spend time with such wonderful people, both clients and staff alike. This fun group of people have known each other for a long time, and they all enjoy a tight bond that is integral to each of their lives. 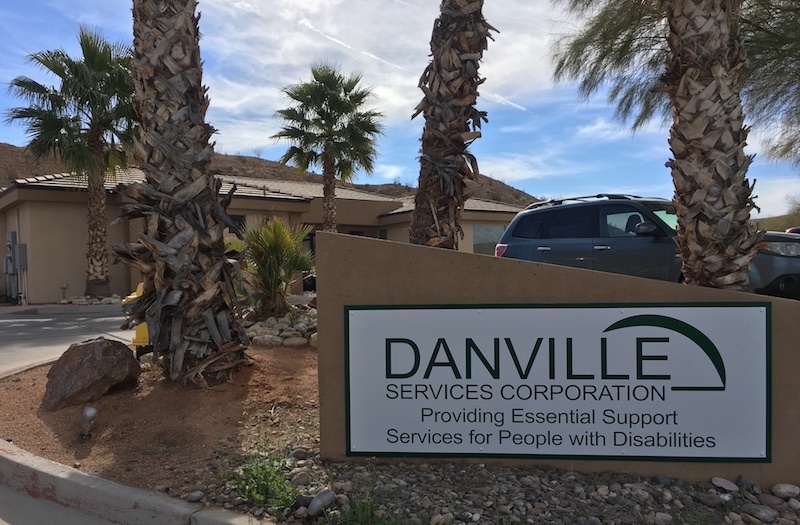 In February 2017, we had the opportunity to relocate the day program to a great new facility that was specifically designed with our clients’ needs and wants in mind. When I visited, everyone was excited to show me each area and room, each with its own purpose, such as an area that fosters their creativity, and another that provides sensory stimulation or relaxation, and another where they can hone their living skills. Our Mesquite clients even have an outdoor space where they house their program “mascots,” also known as the chickens they love to care for. Danville’s Mesquite Day Program has a strong family feel and community sensibility. My short time visiting was a welcome respite from the chaos of day-to-day life. The staff and the clients all left me more inspired to find and foster the true JOY in all we do.